Sochi battered by hurricane, storm and snow. On Dec. 3 a strong storm hit the Russian city of Sochi. More than 20 flights were delayed, thousands of people were left without gas because of a fallen tree that damaged a pipeline, and a hurricane ripped the roof from a multi-storey building. 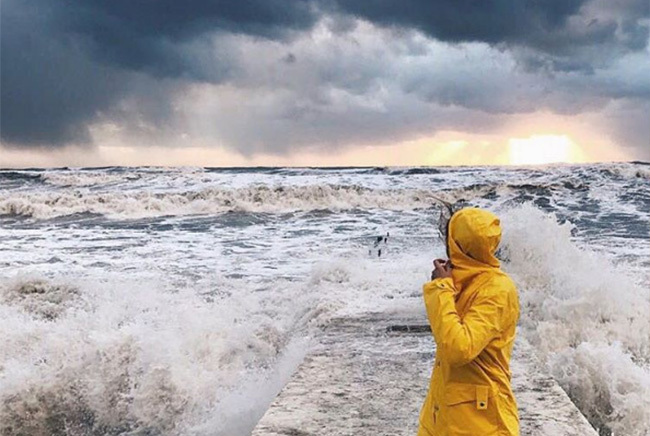 Sochi residents, not used to such capricious weather, called it ‘the storm of the year’ and shared videos and photos in Instagram. Waves poured over the embankment and small cafes near the sea were flooded, ruining the street paving, felling trees and spoiling the Christmas decorations. Those further from the coastline, in the mountains, also felt the full force of nature. On 4 December, a huge snow storm caused havoc. According to the TASS information agency, two men were trapped by the snow. Both were rescued but seriously injured: one had broken legs, the other suffered spinal injuries. Videos showing hotel workers wading through waist-high snow drifts immediately went viral. Meanwhile, snowboarders trying to descend from the mountain soon got stuck in snow.